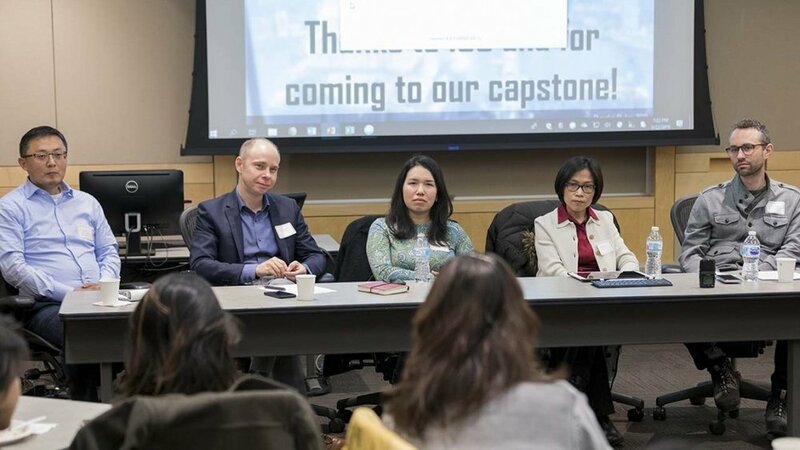 The faculty fellows of the China’s Cities collaborative project answer a question from the audience at their capstone lecture March 22 at the ILR Conference Center. From left, Shanjun Li, associate professor of applied economics and management; project leader Jeremy Wallace, associate professor of government; Jessica Chen Weiss, associate professor of government; Panle Barwick, associate professor of industrial organization, applied econometrics and applied microeconomics; and Eli Friedman, associate professor of international and comparative labor. The cities of China, the world’s most populous country, are growing at an eye-popping rate. Every year, 8 million rural Chinese – the equivalent of New York City’s population – move to urban areas. China’s enormous cities, their divisions and future plans have been at the heart of five social scientists’ research for the past three years. These faculty fellows of the China’s Cities: Divisions and Plans (2016-19) project, sponsored by the Institute for the Social Sciences, reported on their research at a March 22 capstone lecture at the ILR Conference Center. Jessica Chen Weiss, associate professor of government, talked about a new collaborative paper written with faculty fellows Panle Barwick, Shanjun Li and Wallace, on the “commercial causalities” of territorial disputes with Japan in 2012. These political tensions prompted Chinese citizens throughout China’s cities to burn Japanese cars and boycott Japanese products. These consumer boycotts can have a significant and persistent effect, the team found. “These protests really make visible the social penalty of owning or consuming their goods, and that socially constructed penalty varies across cities,” Weiss said. Countries can use boycotts as a commercial weapon to help resolve or diffuse highly antagonistic disputes, she said. “This is one way that China, in this particular context, signaled to Japan how seriously this issue was being felt by the Chinese public, to encourage Japan to, if not concede, at least diffuse the crisis,” she said. Shanjun Li, associate professor of applied economics and management in the Dyson School, used big data in four studies to shed light on the effects of pollution, climate change and energy challenges on human health and economic growth. In a fourth study, Li identified the optimal timing and fees to charge Beijing road-users – for example, 10 cents per kilometer at a particular time of day – to reduce traffic congestion. Eli Friedman, associate professor of international and comparative labor in the ILR School, talked about his upcoming book, “The Urbanization of People,” which focuses on the question of who gets into which cities and why. “What the central government wants to do is send elite people to elite cities and the low-end population to low-end cities,” he said. Those who get a state subsidized education are those who need it least; everyone else is relegated to “migrant schools” that lack indoor plumbing, heating and other basics, he said. Parents and teachers do resist and can sometimes get students placed in better schools. “The good news is that people recognize this as a problem and are doing what they can within a constrained political environment to try to fight back,” Friedman said. That’s in part because all firms get subsidies to enter the industry, not just ones with good track records. “You’re basically subsidizing everybody,” Barwick said. Timing investments to hit at critical moments in the production cycle would also greatly improve returns, she said.